The folding of the brain seems to be distinctive in humans and, therefore, has been considered a candidate to explain the unique mental abilities of humans compared with other animals. The amount of folding in the cortex appears to correlate with some specific cognitive abilities and sensory and motor abilities. Einstein’s brain has been described as having unique folds. But, there has not been any clear explanation how this unique gyrification of the human brain comes about. Recently, progress has been made in understanding the very complex processes in the developing brain that build a large cortex with so many folds and crevices—or gyri and sulci. Even though all cells have the same DNA, a variety of different neural stem cells are produced, and it is the work of these various stem cells with different properties that creates the basic brain structure and populates neurons and glial cells in the adult brain. 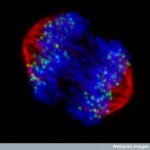 Mechanisms in and around these stem cells are critical for the folding. These mechanisms include special gene networks, axon stimulation, microRNAs, and cell division processes. This post will discuss some of what is now known about how these folds might be formed. An important part of the story includes communication between the spindle that orchestrates cell division and the primary cilium. A previous post described the importance of the primary cilium as the brain or antenna of the neuron, and as critical for making new neurons. One unusual finding is that meditation increases gyrification. Meditation increases the size of the left precentral gyrus, right fusiform gyrus, right cuneus, as well as left and right anterior dorsal insula. The more years of meditation, the greater the gyrification in the right anterior dorsal insula. The insula findings could be related to an ability to avoid distractions during meditation with increased introspection, awareness, and emotional control. The insular gyrus could be related to an integration of feelings, bodily organs and cognitive processes. 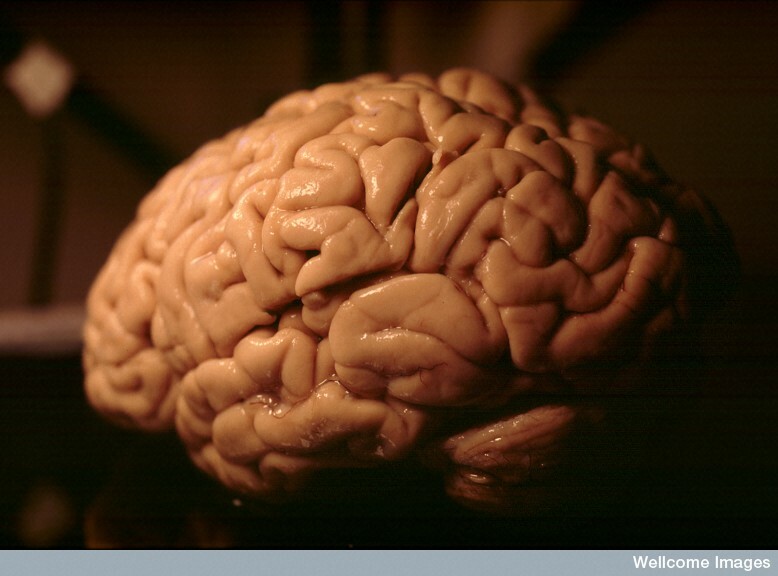 The growth of the brain occurs through two lines of stem cells—called neural stem cells and neural progenitors. Both of these form neurons that become permanent in the brain as well as intermediate cells that create the scaffolding for the building of the brain. Brain size varies tremendously in animals and it doesn’t exactly correlate with abilities and intelligence (see post on bees, birds and lizards who have different types of brains with advanced capabilities). 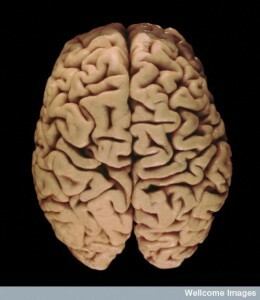 For humans, brain size appears to matter in that people with diseases that create smaller brains have poor cognition. Some animals have smooth brains including mice; primates and humans have folded brains with many gyri. Large rodents and large brained primates, also, have folds. Folds allow the brain to have much greater volume and surface area in a fixed skull. The growth of the cortex is a complex process coordinating side ways and radial enlargement of the cortical subdivisions. Multiple different types of stem cells and their different activity in various regions drive this process. Also, sensory circuits through the thalamus to the cortex and their developing axons are important. The front facing part of the neural tube in the early embryo produces neuro-epithelial stem cells that create both neurons and glial cells. They produce radial neural cells, which form a nerve between the ventricle and the surface of the cortex near the pia covering. 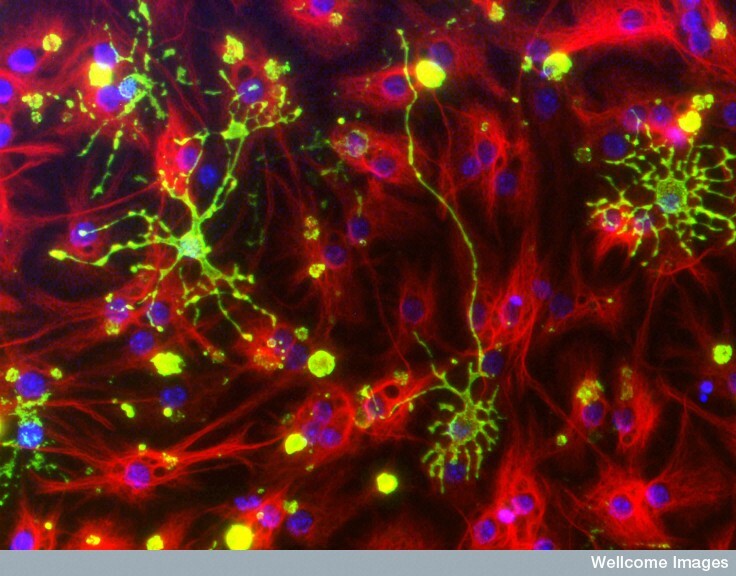 These neurons are unusual in that they function as scaffolding glial cells to help other neurons migrating into position. Later they become astrocytes and oligodendrocytes. 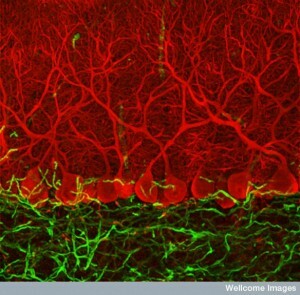 The scaffold cells produce daughter cells that become the six-layered cortical columns. These stem cells engage in asymmetrical division, which means that they produce another stem cell as well as a permanent neuron. Some of these stem cells stay in the region near the ventricle and continue to make new neurons, even in the adult brain. The apical (top) and the basal (bottom) stem cells live in different regions and create new neurons locally. Four different types of stem cells determine cortical size and folding. The very complex three-dimensional cortical structure is built by these scaffolding cells that, then, produce permanent neurons. (A previous post shows how electrical synapses form this blue print of the future brain). A large number of signals and factors influence stem cell behavior. Instructions tell them how to form the scaffold, which eventually become the six-layered cortical columns. The ultimate size of the cortex is related to the number of neuronal stem cells that are produced. 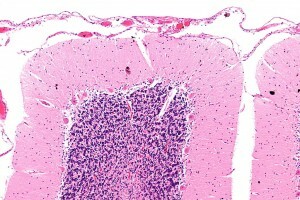 Major factors in determining cortex size include the cell division process with rhythmic movements of the cell’s nucleus and the spindle; the primary cilium; symmetrical versus asymmetrical division of stem cells and the shape of the cells; the survival of the cell and planned neuronal death—apoptosis; and microRNAs. Factors During Cell Division: An oscillation is produced by the changing position of the nucleus in the stem cell as it divides. It is called an interkinetic nuclear migration. Gap Junctions, or electrical synapses, described in a previous post, determine this process, as well as the many signals from other cells. 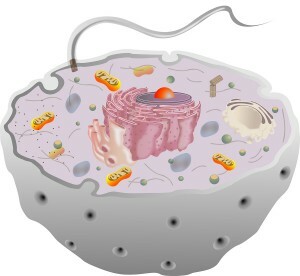 Fluctuations in the direction of the nucleus influences whether the cell will make it all the way to the surface. 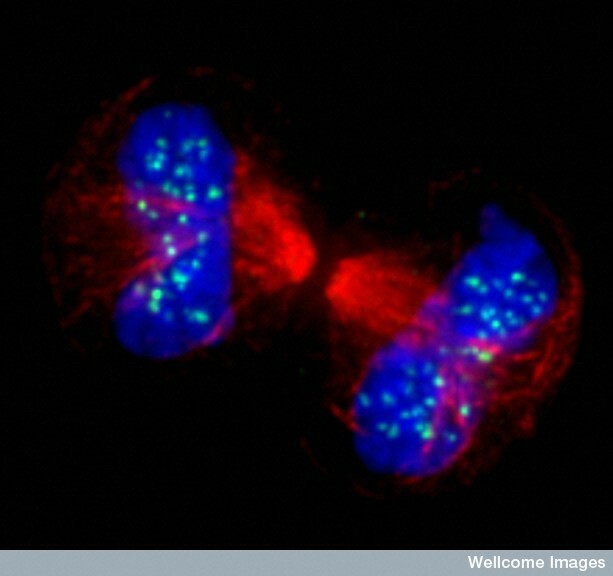 This complex process involves the spindle, which pulls apart the two sets of chromosomes and guides them into the two new cells. In the three pictures on the right the spindles are red and the two sets of chromosomes that are pulled apart are blue. The spindle’s activity appears to be critical for the cell to arrive at the surface of the cortex while making the six layers. For some reason the processes affecting cell division regulate the creation of two of the stem cells in the cortex and, therefore, the size of the cortex. Much of this process is still unknown. Primary Cilium: A previous post described the importance of the primary cilium—which occurs in each cell, including neurons and glia, and is probably the brain and antennae of the cell. (See previous post on Primary Cilium for this remarkable story). The primary cilium is built of microtubules that stick out of the cell surface and have primary antenna and sensory receptors for the cell. Its structure includes the axoneme made of nine microtubule pairs in a circle, but no central pair as occurs in the spindle, the brain of the cell division process. Signaling molecules travel up and down the cilium in a very complex transport system. They are critical for the development of the stem cells and neurons and a number of diseases occur when they are abnormal. Primary cilia are present during some phases of cell division but then are dismantled before other phases. There are special proteins that take it apart. These proteins seem to regulate the cell production of stem cells. The primary cilium in the stem cell is very closely connected with the centriole during cell division. 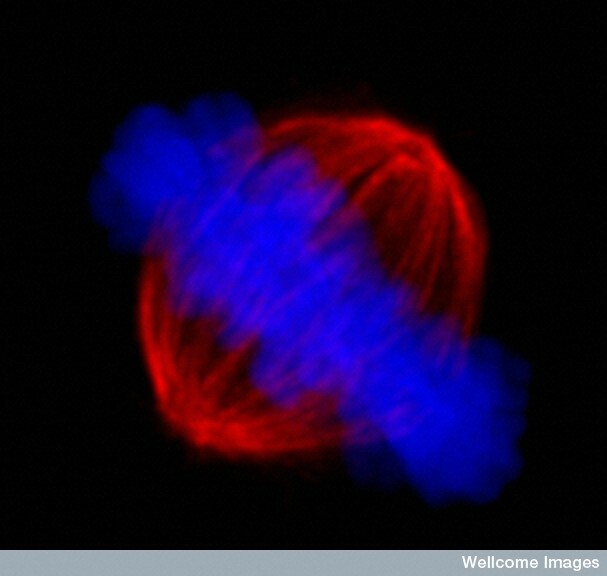 A secondary moving cilium in epithelial cells has the 9 pairs of microtubules in a circle plus another one in the center and is used for a beating motion to help other cells move. 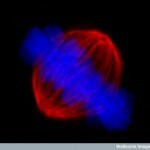 Moving cilium also help the process in regulating how many stem cells there will be. The beating of these cilium in the cells lining the cerebrospinal fluid, including the choroid plexus (see post of these critical intelligent cells), keeps the CSF flow going while bringing necessary neuronal growth factors. Neuron Death and Cortical Size: The balance of the creation of new stem cells and cell death determines the size of the cortex. During the fetal brain development some areas have extensive programmed death of cells, called apoptosis. The increase in the number of neural stem cells that determines cortex size is affected by many chemical factors stimulating new cells, the survival of the new cells and the direction of apoptosis. 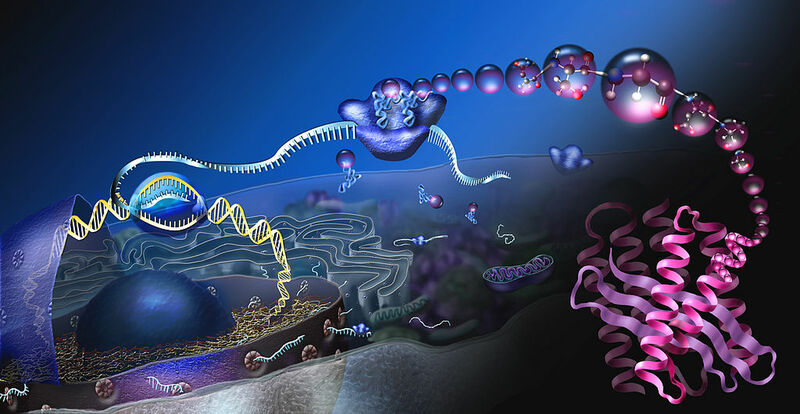 MicroRNAs Regulate Cortex Size: Previous posts have shown that a critical enzyme, Dicer, breaks double stranded RNA and microRNA producing fragments that are important in directing cell activity. This process makes the silencing complex that produces RNA interference, RNAi, and microRNA silencing of genes. Silencing regulates gene networks that are turned on or off. Several posts have mentioned the critical RNA-induced silencing complex, or RISC. It is not surprising that Dicer regulates new brain stem cells and apoptosis, both important in determining the size of the cortex. Specific RNAs and specific genes have now been identified that stimulate and maintain neuronal stem cells. MicroRNAs stimulate a network of genes that make proteins that regulate stem cell creation, differentiation into the specific neurons needed to make the cortex, and the specific shapes of the neurons. Shape of Neuronal Stem Cells: The two types of neuronal stem cells in the cortex are polarized cells with assymetrical division and unpolarized cells with symmetrical division. There are a very large number of factors and gene networks involved in determining the type of division that will occur including communication of spindle and primary cilium. One set of proteins called polarity proteins determine spindle orientation by responding not only to internal signals but, also, from the outside environment. This very complex process determines the fate of daughter cells as well as the number of stem cells that will be created—all influencing the size of the cortex. More folds (gyri) and crevices (sulci) in the brain mean more surface area in a limited skull size. Increase in folding is most prominent in primates and humans. In evolution, the first folding occurred in the oldest ancestor of all mammals. A smooth brain arose in some species, such as mice. Bigger brains tend to have more gyri. Although humans have the most gyri among primates, zebras and elephants have more than humans relative to the size of their brain. Humans have a uniquely thick neo-cortex of 3.4 mm (the only larger are manatees with 4.0). While it is not totally clear whether gyri influence intelligence, they do appear critical for more association between regions critical to language. Many factors lead to gyrus formation: gyrus building; basal stem cells; subplate; axons; ventricle; meninges; and growth factors. To make a gyrus there has to be new neurons, movement of neurons, active neuronal function, dendrite formation, new synapses, and formation of glia. Basal stem cells are the first step. A next step includes connections with the sensory fibers coming through the thalamus that stimulate the need for a response. The process, also, needs axons connecting stem cells and new neurons. 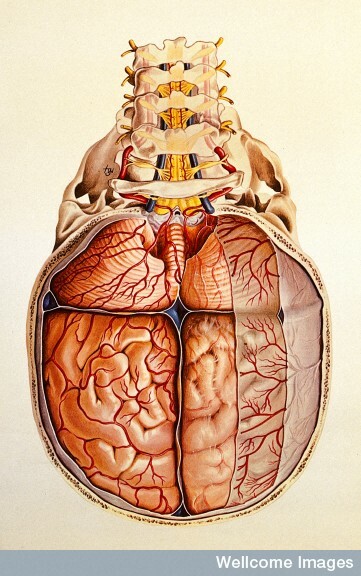 As well as building a gyrus, the process needs enlargement of the surface of the ventricle. Alterations in the shape of the pia material that lies over the surface of the cortex are necessary to form crevices that match the sulci. 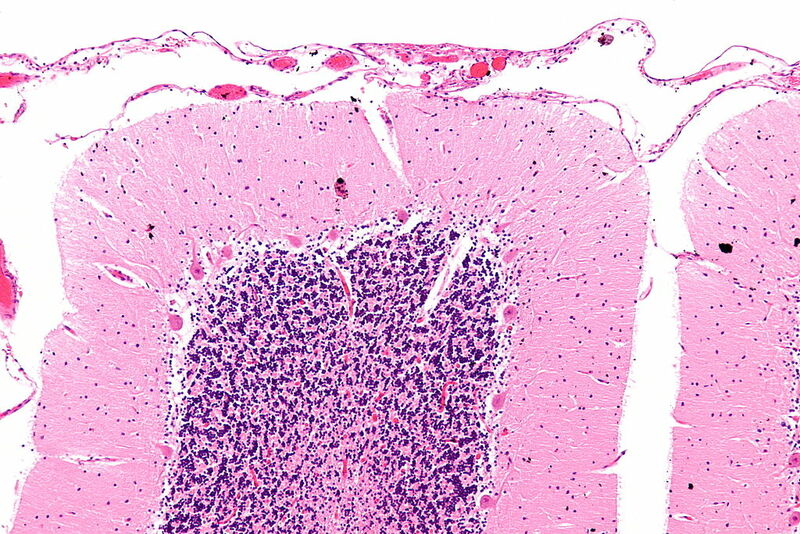 Signals from the outer regions of the meninges also appear to be critical. 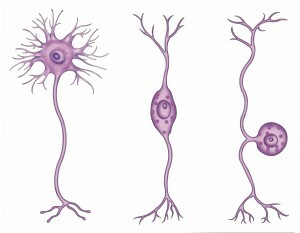 Gyrus Building: One view is that growth of gyri is determined by the different levels of increase of the neuronal stem cells in different places. A more recent theory is that basal stem cells accumulate on the cortical plate and determine a new scaffold of radial glia cells that determine the shape and structure of the columns in the cortex. Different amounts of these stem cells in different regions could determine the fan like shape at the top of gyrus and the squeezed shape of the scaffolds in the sulci. The amount of stem cells and the scaffold shape are critical to build a gyrus. Basal Stem Cells: Enlargement of the growth of special basal stem cells in specific regions can determine gyri. Proliferation of basal stem cells is different in the early, middle and late periods of fetal development. Therefore, gyri might appear at different times in different regions and in many stages. In humans there is a long period of primary, secondary and tertiary production of gyri. Also, specific genes have been found that influence the amount of the epithelium cells at the surface. Basal stem cells appear to expand the plate of the cortex sideways, and, then, another type of neuronal stem cell produces the long cortical projection neurons that fill in the area with neurons. 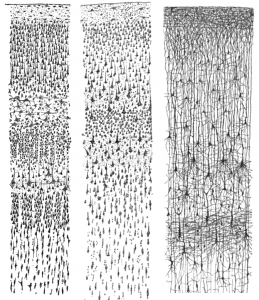 Subplate Growth: One area combines afferent neurons with interstitial cells forming early neuronal networks and has a very large growth of cells. This area is called the subplate and appears to be critical for later formation of the gyri. When sulci first appear on the smooth fetal brain surface special areas near the sub ventricular zone develop large numbers of the two different stem cells. This region becomes thicker right where gyri are going to form. Axons: Active signals from the axons of sensory afferent neurons are necessary to produce gyri. These signals seem to direct the stem cells in the cortex, probably by producing neuron-nourishing factors. These neuronal connections from the thalamus to the cortex also appear to be critical in determining the later functions of the different cortical regions. This action of the axons also connects the far-flung structure of the future cortex and optimizes compact wiring. Later, many of these connections are shortened by local interconnections. Ventricle Surface Enlargement: The enlarging cortex has radial units, which have different sizes and shapes of their columns. The enlargement of the ventricles appears to be critical in the formation of gyri in the occipital and temporal lobes. Several very important brain regions, like the parahippocampal gyrus, grow mainly through increased surface of the ventricles, which forms the convex gyrus at the bottom facing the ventricle. This process involves folding and fusion of the surface cells and is only relevant in some areas. Meninges: The meninges maintain the pia basement membrane and secrete critical factors that affect the stem cells in the radial units. They also send cytokine signals that attract specific cells that are migrating such as interneurons. Growth Factors: There are a vast amount of different factors secreted by cells that affect all aspects of this process. One system, FGF, has twenty-two different factors with a large number of different interactions between all of them. Unusual gyri patterns have been correlated to some exceptional people’s brains. 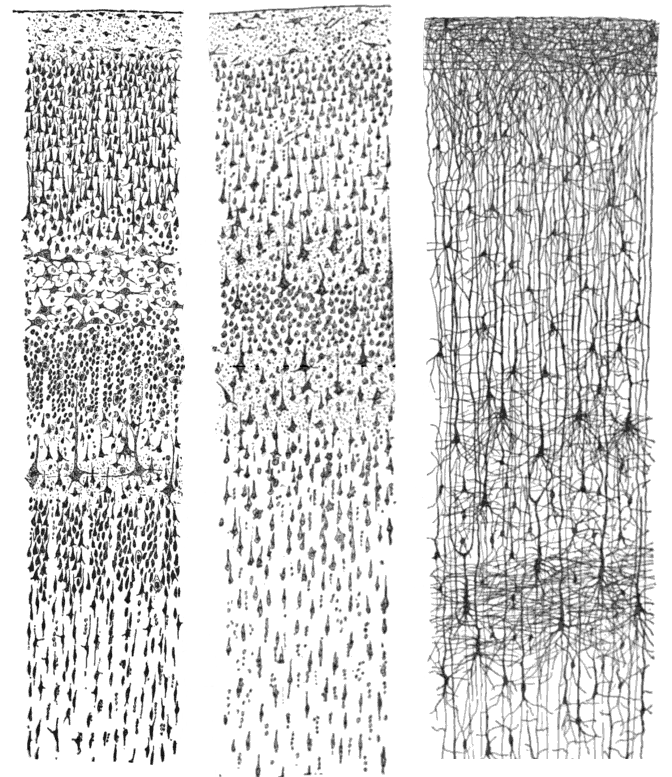 These patterns have been related to language function, such as asymmetries in the Sylvian fissure and the posterior temporal region and parietal operculum on the left. 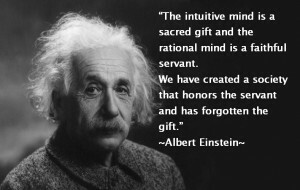 Some have tried to correlate Einstein’s extreme visual spatial and mathematical abilities and late language and social skill development with unusual gyrus. His brain had differences in size and shape of gyri around the Sylvian fissure, especially in the parietal lobes. The normal asymmetry was not present and both had what is usually considered the right-sided shape. There were no parietal opercula and inferior parietal gyri were expanded. The Sylvian seems to be smaller and continuous with the post central sulcus. The problem with any analysis of this type is that there are not enough brains for comparison. As with all aspects of the brain, there are a vast amount of very complex factors that affect both the size of the human cortex, and the increased gyrification. 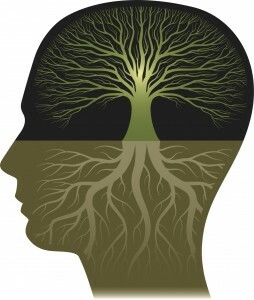 We have just begun to scratch the surface of this living dynamic process that forms the unique human cortex. 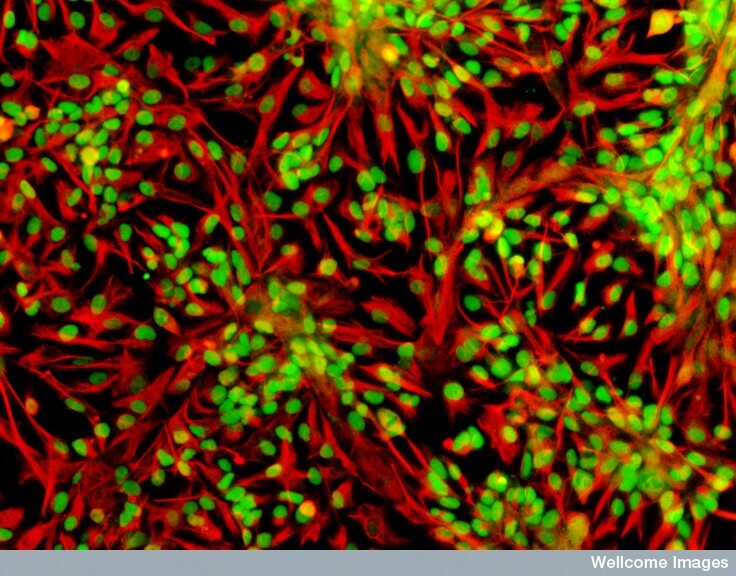 With so many different cells involved in different ways, where does the direction come from for the thousands of different actions in different types of stem cells for various regions throughout the developing brain? This entry was posted in Blog, Neuronal Plasticity, Human Brain and tagged Cortex size is based on stem cell division, Cortex size is based on multiple stem cells, Cortex size is stimulated by sensory circuits, Cortex size determined by spindle and primary cilium, Cortex size determined by microRNA, Gyrus building, Basal stem cells build gyrus, Einstein's brain had unusual gyri and sulci. Bookmark the permalink. The 2012 Luders study about gyrification and meditation is pretty fascinating. Purely speculative, but since there is a some correlation of cortical gyrification with cognitive IQ, do you think the increased gyrification associated with meditation involving regions such as the insula would increase social IQ?